Do not worry, you are safe with us. 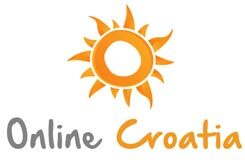 We are a leading company for apartment and villa rentals in Croatia. As many as 22 718 clients have booked with us since 2007. As much as 96.3% of them would turn to us again when choosing accommodation for their next vacation. Why? Because we take care of our clients, because we know how much we all want to have a dream vacation! Only 35% reservation deposit + booking fee are required at the time of booking and the balance is due directly to the owner of the apartment or villa upon arrival. Directly on website of individual accommodation units which have INSTANT BOOKING link. Payment can be effected via credit card by using a 100% safe Raiffeisen bank payment platform. 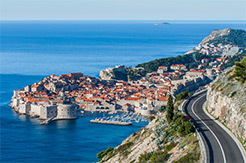 Pay with pro-forma invoice by clicking on the link sent to you by an employee of Online Croatia. You can pay by bank transfer within 24 hours from the time the pro-forma invoice was sent to you or via credit card by using a 100% safe Raiffeisen bank payment platform. In case you fail to effect the payment within 24 hours from the time the pro-forma invoice link has been sent to you, your reservation will be considered cancelled! OUpon effected payment, you will receive your voucher and the invoice. 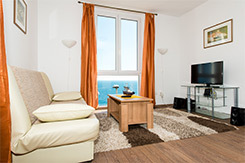 The voucher shall contain all necessary information regarding the accommodation you have booked: the name of your host, address, telephone number, name and surname of the person who made the booking, number of renters, the balance that needs to be paid upon arrival to the accommodation unit and date of arrival/departure. Booking fee: 7 % of the total amount of reservation (in the range from 10.00 to maximum 150.00 euro) includes our service and no-risk policy! What is a no risk policy? WE SHALL RETURN YOUR DEPOSIT IN CASE YOU HAVE TO CANCEL YOUR TRAVEL DUE TO UNEXPECTED CIRCUMSTANCES! Death or serious injury of the renter, spouse or common –law partner with whom the renter lives in marriage or domestic partnership, child, parent, brother, sister or person for whom the renter provides. For the purpose of determining the unexpected circumstances, the Agency shall request the renter to provide documented evidence in order to be able to refund them. In case of incomplete documentation or documentation not evidencing any of the above circumstances considered to be unexpected by the Agency, the Agency is entitled to refuse a refund. Deposit refund means the return of the entire amount paid, reduced by bank fees. Refund shall be effected exclusively to the foreign currency account of the renter i.e. only to the account with his/her name. The refund shall not include the booking fee. 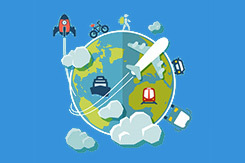 The travel must be cancelled in writing to the Agency no later than three days before the arrival date stated in the voucher. CIRCUMSTANCES IN WHICH WE DO NOT RETURN THE DEPOSIT: mistakes made when choosing your destination, unwillingness of the client to travel, events that occurred prior to the payment of the deposit or which could have been predicted, planned, anticipated or postponed surgeries, medical treatments or interventions, war, military operations or similar actions, terrorism, epidemics or pandemics, natural disasters, force majeure, prohibitions or decisions by the government, nuclear events etc. WHAT IF WE ARRIVE AND THE ACCOMODATION IS DIFFERENT THAN ON YOUR WEBSITE? Do not worry, we offer you a MONEY-BACK GUARANTEE! Contact us on the first day of your arrival if any problem occurs or if your accommodation is significantly different from the description on our website. Please, contact us in writing and describe, in detail, the differences in accommodation. If your complaint is justified, we will be happy to find you a better quality accommodation or refund you, in whole, at your request. Please, read General Terms and Conditions or contact us. Do not worry, you’re safe with us!